Keenan Wellar is NPQ’s new point correspondent for Canada’s civil sector. He’ll be penning a periodic column called NPQ North to focus on trends and events above the border. Today, Keenan takes on the debates that have emerged around a new structure proposed for journalism organizations—one neither nonprofit nor for-profit. The government of Canada released Investing in the Middle Class (Budget 2019) on March 19th. The introductory remarks tout progress to date on items like job creation (with an emphasis on programs for women) and support for families struggling with the high cost of living. These issues have been discussed previously with respect to the Oxfam Canada Report Card on Feminist Progress and the impact of the Trudeau government’s Child Poverty Reduction strategy. Broad analysis of “winners and losers” lists those with student loans and first-time home buyers among those who have reason to smile, while those who were hoping for tax breaks—and/or edible cannabis products—aren’t pleased. Support for nonprofit science, research, and technology organizations like the Stem Cell Network ($18 million), Brain Canada Foundation ($40 million), Terry Fox Research Institute ($150 million related to cancer research), Ovarian Cancer Canada ($10 million), Genome Canada ($100.5 million), Let’s Talk Science learning programs ($10 million), and support from a variety of federal sources that totals close to $292.7 million for TRIUMF sub-atomic physics research. The budget states that $100 million will be allocated towards projects that support greater gender equality by “leveraging existing philanthropic and private sector funds towards this purpose in order to help them reduce the social and economic barriers faced by diverse groups of Canadians of all genders” and specifies that a $50 million investment will be made in the new Indigenous Growth Fund. Putting $595 million toward promotion of journalism is certainly welcome news in a general sense for journalists and media organizations, given that nearly 270 local news outlets have either closed or merged in 194 communities across Canada since 2008, according to Ryerson University’s latest tracking data (February). As Steve Dubb reported for NPQ last year, Canada lags far behind the rising wave of nonprofit journalism in the United States. 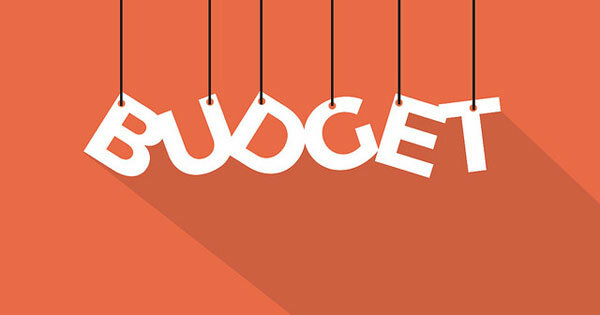 These highly anticipated budget announcements may spark significant growth in this area, but process issues—and debate about the merits of the overall strategy and its tactics—are already getting heated. Heritage Minister Pablo Rodriguez’s statement that “We are going to the root of the problem and creating concrete measures to support Canadian newspapers, big and small” drew quick reaction from major players, like the declaration of unfairness by the Canadian Association of Broadcasters. “If the government is truly committed to recognizing the vital role media plays in helping citizens make informed decisions, it must find a way to include radio and television news outlets in this tax-credit regime,” said the association’s board chair Lenore Gibson, who is also a lawyer for Bell Media Inc., owners of multiple radio, television, and digital media outlets. More neutral observers like Chris Waddell, professor at Carleton University’s School of Journalism, mused about whether this is a case of throwing good money after bad. The issue of federal funding for news organizations has not only divided Canada’s media community, but has generated accusations about inappropriate influence, with the opposition party Conservatives arguing new funding to the media should not be awarded in an election year. New Democratic Party leader Jagmeet Singh suggested the federal government could take a more direct approach in supporting local media. CWA Canada—certainly not a disinterested party, given they represent 6,000 workers in the media industry—perhaps did the best job of grounding the debate in a legitimate concern about the future of the country and its communities. In Montreal, a major museum now employs a full-time art therapist, whose patients are referred by physicians as part of their overall treatment plans.